Infections of humans with Herpes simplex Virus (HSV) are very frequent. Transmission takes place by aerosol or by contact often already at childhood. There are two human HSV genotypes: HSV1 mainly causes Herpes labialis. Seroprevalence is nearly 90% in adults. HSV2 causes Herpes genitalis and is sexually transmitted. Depending on social and economical status 10-30% of a population is seropositive for HSV2. 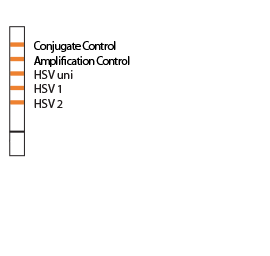 AID Herpes simplex Virus Kit enables a sensitive pathogen detection and differentiation between HSV1 and HSV2.